4 Bedroom Detached House For Sale in Luton for Guide Price £650,000. An incredibly spacious and very well presented five bedroom detached house situated on London Road in Luton with excellent transport links to London via junction 10 of the M1. 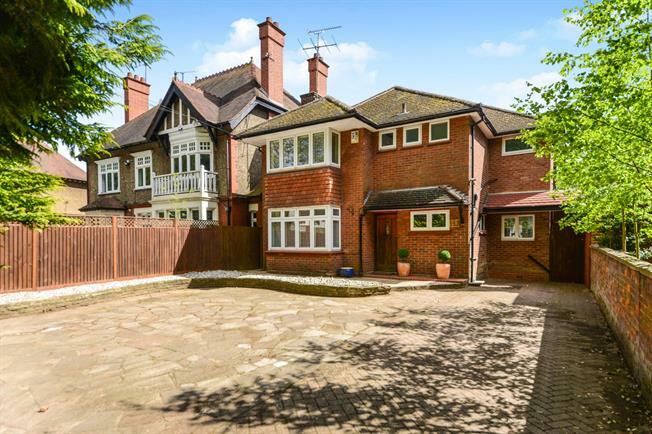 The property has an entrance hall, downstairs WC, large lounge, separate dining room, refitted kitchen/breakfast room, downstairs bedroom with an en suite, four great size bedrooms upstairs, a further en suite and another bathroom. To the rear there is a self contained annex and a a large rear garden and plenty of off road parking to the front.